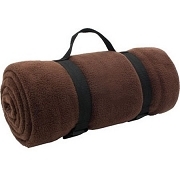 Easy fleece roll up blanket with attached carrying strap and handles. Carry anywhere to keep you cozy inside or outside. Great for travelling! 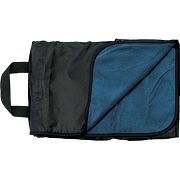 100% 13.5 oz polar fleece blanket with 600D polyester canvas flap. Tone on tone whip stitch. Sewn in nylon carrying strap. Maximum decoration area: 3.5 height x 5 width. 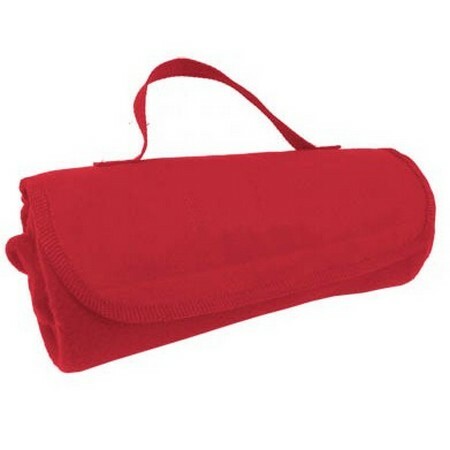 I received one of these blankets as a corporate gift about 10 years ago and loved using it on trains, planes, took it on every trip to use as a blanket or as an arm cushion. I would still be using it if I had not left it in a rental car, so I purchased this new one in green. It is the same as my last one so I have no doubt it will last a very long time. Love how soft and warm it is but light enough to carry everywhere. Especially like the handle, which other blankets don't have, to loop over my luggage handle. I bought this as a xmas gift . My grandson love the color red. He had a roll up blanket and forgot it on a plane trip. He is going to be surprise. He wanted a another one. 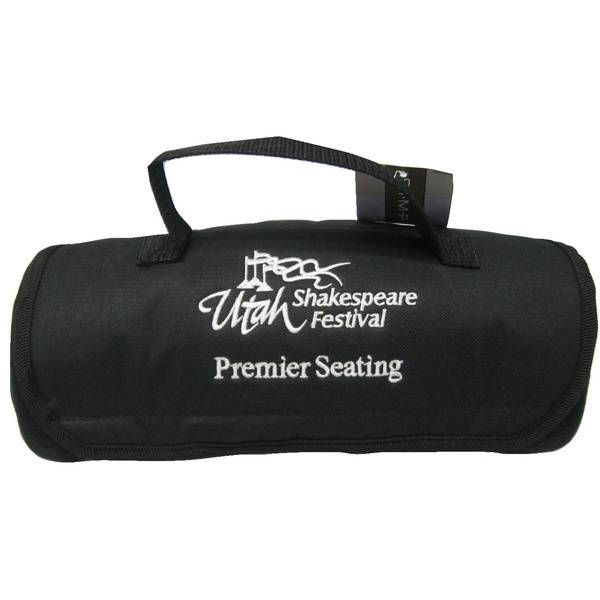 The Fleece Roll Up Blanket can be customized with your logo! 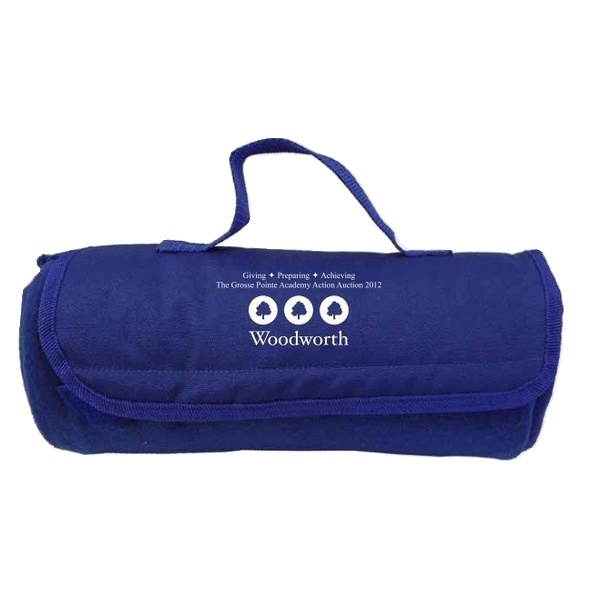 Custom embroidered blankets are perfect for schools, teams, fundraisers, or corporate gifts.